A REST Enabled SQL View! 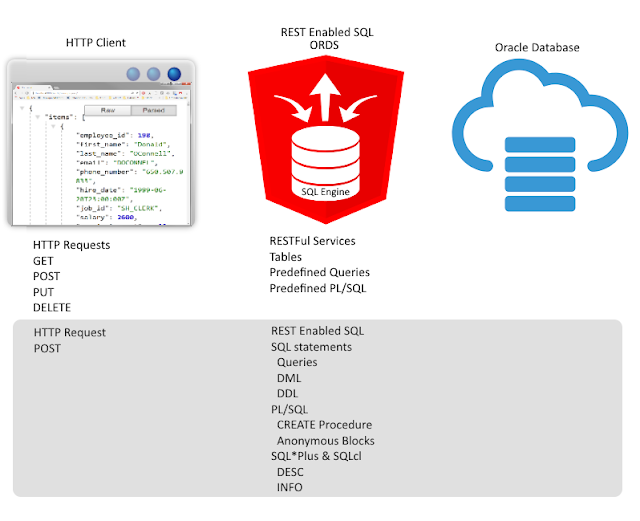 I put together a small Oracle PL/SQL package which demonstrates how to access REST Enabled SQL service and standard REST end points through PL/SQL and SQL. It can also dynamically create an Oracle Database View to access information from a REST Enabled SQL request. This view can be referenced in SQL just like any other view but the data is provided from the REST Enabled SQL service which could be running against another database. Maybe an alternative to Oracle database links? What You Need To KnowREST Enabled SQL uses Schema Authentication as well First Party Authentication. This means you can run SQL against an Oracle Database if the following is true. 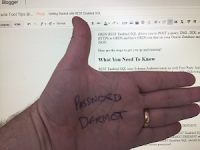 REST Enabled SQL is enabled in ORDSA database user is REST Enabled The database user name is knownThe database user password is knownSo before turning on REST Enabled SQL in ORDS it is vital that current REST Enabled schemas havestrong, secure passwords. 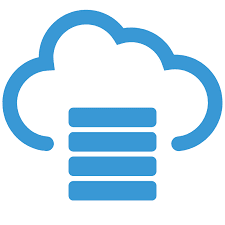 The Oracle REST Data Service provides REST access to your Oracle Database. Tables, predefined queries and PL/SQL blocks can be exposed as RESTful services. This is great when you can foresee what table, query or action you wish to REST enable. Starting in ORDS 17.3 you can now POST the query, pl/sql or sql*plus statement to ORDS at run time. 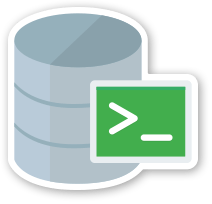 This new feature is call REST Enabled SQL and it is built into ORDS as standard. It allows you to define the query or statement you want to run without having to create a predefined RESTFul service. REST Enabled SQL provides a HTTPS POST API that your HTTP client (web browser, java application, ...) can access just like other ORDS services. Just POST the SQL statement you wish to run to the REST Enabled SQL endpoint and the results will be returned in JSON.